I am Philip George working as a Chief Life Insurance Advisor (CLIA) with Life Insurance Corporation ofIndia. After completing my graduation I joined as a Life Insurance Agent in 1991. I secured a Certificate in Insurance Salesmanship from Insurance Institute of India and completed Master of Business Administration (MBA) with Marketing and Human Resources as specialization fromMahatmaGandhiUniversity. In 2001 I become the Chairman’s Club Member and as recognition of my outstanding achievements I have been qualified for Million Dollar Round Table (MDRT) 2 times. Since I am so much associated with Life Insurance, though my name is Philip George, I am generally known as licphilip. My website also has the same name licphilip.com. I have been a part of insurance business for the past 21 years and am very pleased with my profession because I am able to insure people’s life and ensure smiles in their lives. My office is located in the heart of Edathua town, Alaphuzha Dist. which is easily accessible. The fully computerized office and the regularly updated web site provide efficient service. The competent and customer friendly staff is always ready to meet the customers and are ever willing to satisfy their queries. 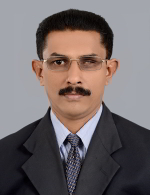 As a Financial Advisor, I assist the clients in wealth creation through Life Insurance, General Insurance, Health Insurance, Mutual Funds, Housing Loans, Bonds, Debentures, Stocks, etc., Since meeting people from different professions has been part of my interest, I always find time to meet all existing and potential clients through regular doorstep visits. The clients are also contacted through e-mails and phone calls and required services are provided to them well in time. I always work towards the best interest of my customers and enable them to plan and invest their wealth properly. I am particular that none of my customers’ policy lapses and reminds them to pay their premium on time. I assist my clients in areas of insurance claims and ensure that their claims are paid on time. As a Chief Life Insurance Advisor I have been assigned the responsibility of recruiting and training insurance agents. I am proud to state that I have many successful, upcoming insurance agents to my credit. I always assisted them in selling insurance policies and motivated them to reach their goals. I also provide them with the latest information on changes regarding insurance services and products. I express my keen interest in the welfare of the society through participating in various community related activities. I am a member of various associations like Lions Club International, Life Insurance Underwriting Guild of India (LUGI), United Friends Club.